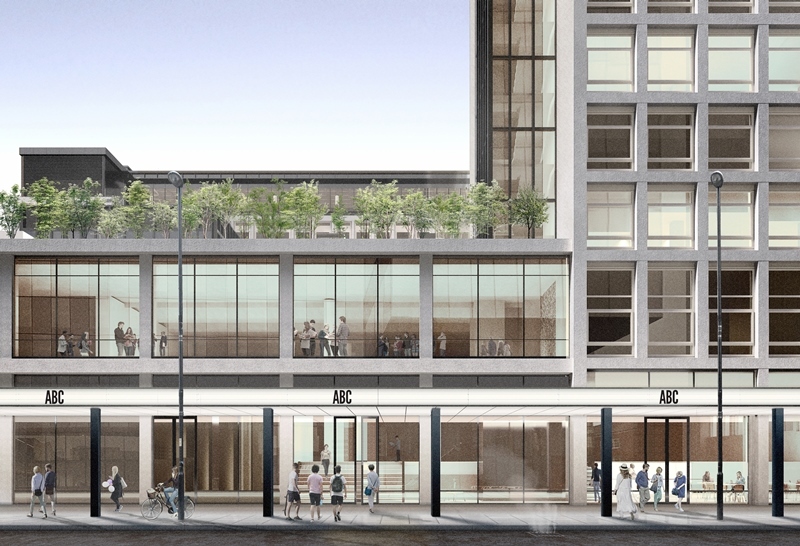 Paragon has been instructed by property development and investment company Allied London on the landmark redevelopment of Manchester’s ABC Buildings, as part of the £1.35bn Enterprise City masterplan for St. John’s. The project will see the two buildings, previously known as Astley and Byrom House, brought back into use after previously being earmarked for demolition. The iconic 1960s office blocks had been unoccupied for 10 years and will now undergo a comprehensive overhaul and remodelling to create 181,000 sq ft of office, retail and commercial space. Allied London’s Enterprise City masterplan is to create a cluster for modern industry in central Manchester, made up of the tech, media and creative sectors. The ABC Buildings are one of ten iconic projects in the Enterprise City, alongside the Old Granada Studios and The Bonded Warehouse. A team led by Paragon director and head of the Manchester office, James Onions, will provide Allied London with project management and quantity surveying services on the development. Commenting on Paragon’s instruction on the project, chairman and CEO of Allied London, Michael Ingall, said: “Our Enterprise City brand will drive a wide range of commercial uses within the tech, media and creative agenda at St. John’s. Once restored to their 1960s ethos and enhanced with an advanced tech infrastructure, the ABC Buildings will make powerful additions to this vision. The new instruction follows a merger between Paragon and Bond Davidson in May 2018, creating a £22m business and one of the largest independent consultancies in the UK. Paragon is currently advising on projects with a total construction value of over £5bn. Founded in London in 2009, Paragon opened its Manchester office in 2015. Located at the Freetrade Exchange, the consultancy’s north west-based clients include Property Alliance Group, Northwood, Praxis, Select Property Group and City Block. The business now employs nearly 200 people, across additional offices in Edinburgh and Esher. Paragon’s James Onions said: “This instruction is testament to the outstanding reputation that we’ve built, not just in Manchester but the whole of the UK. Paragon has expertise in all aspects of building surveying, project management, project monitoring, cost consultancy, M&E consultancy, environmental consultancy, occupier services, drone surveying, rights of light, party wall services and dispute resolution services. If you have an enquiry or would like to find out more about the Manchester team, contact the office by calling 0161 260 0500 or you can email James Onions on: james.onions@paragonbc.co.uk.